This entry was posted in Pets, Reflections and tagged Family, golden retriever, pet death by MaryALivingston. Bookmark the permalink. I saw this this morning…very sad. Nellie looked like a really good dog. She was a wonderful part of our family, her person was our eldest son. He was up a few weeks ago and was able to spend about 10 days with her. I’m glad he was able to spend that time with her! So sorry for your loss! Dogs are a blessing and a member of the family! Thanks for the thoughts. They bring so much to us, we will always remember how she was a great friend to her person. Our eldest son misses her a lot. He asked tonight if we will keep a pup from Blitz (Nellie’s daughter) so that in the future he may get one of her offspring. What a sad day for your family. I’m glad that Nellie got to see her boy before she left. And I bet you’ll be seeing her around for a long time to come. I remember well how it feels when your canine friend is no longer by your side. How wonderful are your memories and that she lives on through her offspring. Virtual hugs for you. Thank you so much. 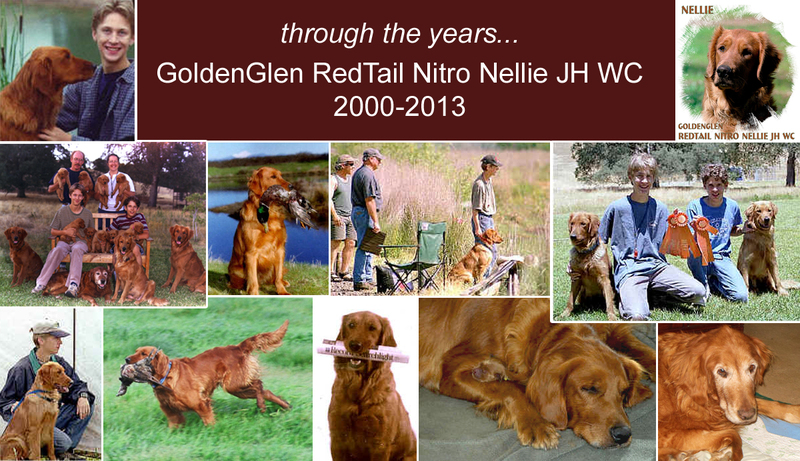 Indeed, Nellie will always be with us. Gosh. This is the second sweet departed puppy post I’ve chanced on this morning. Makes my heart hurt for you. And I’m remebering my own dear ones I’ve lost.